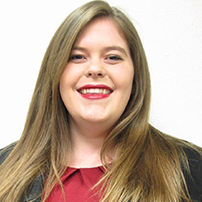 Kendra Wardon is a Freshman at New Mexico State University currently majoring in Conservation Ecology with a minor in Geographical Information Science. During her childhood she was heavily involved in her local Girl Scout council where she sold cookies, served as a media ambassador, and worked as the Older Girl Program Manager at Camp South Mountain. During her senior year of high school Kendra earned her Gold Award, the highest award in girl scouting with equivalence to the Eagle Scout Award in boy scouting. Her project entitled Agility Leads to Reliability, focused on creating an agility program at the Arizona Humane Society to provide an outlet for high energy or shy dogs to make them more adoptable. She constructed and donated a set of agility equipment to start the program and also created a video series on YouTube which explains how to train dogs to use each piece of equipment.